Brief Candle Press, 9780989441001, 210pp. Caleb's father is serving with Ethan Allen's Green Mountain Boys as the long-anticipated open war against the British rages up and down the length of Lake Champlain. Between his duties on the family farm and constant worry about his father's safety, the young man's attentions are already fully occupied when a fateful encounter with an unlikely neighbor changes everything. Pulled into new intrigues and new friendships, Caleb finds himself on a path that changes his life - and which will affect the outcome of the whole war. 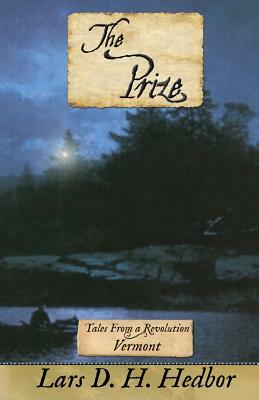 The Prize is the standalone Vermont novel in the Tales From a Revolution series, in which each volume explores how the American War of Independence unfolds across a different colony or future state. If you like stories such as The Deerslayer, or you've ever wondered how the Revolution affected the lives of ordinary people in out-of-the-way corners of America, you'll love The Prize.